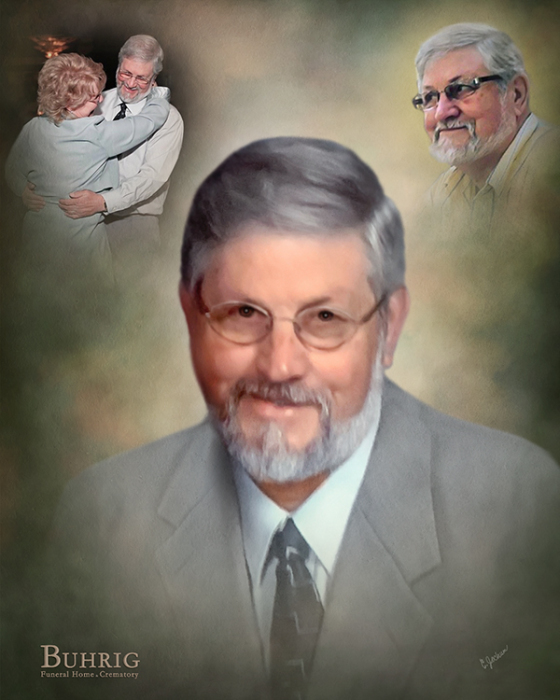 Robert “Bob” Lee Wanner, age 76, of Mechanicsburg, and formerly of Ephrata, was welcomed into the arms of Jesus on Thursday, March 28, 2019. Bob was born on Wednesday, June 24, 1942 in Denver, PA to the late Harry S. Wanner and Ruth (Longenecker) Wanner. Bob’s survivors include his wife of 60 years, Darla Jean (Shenk) Wanner; his three children: Cynthia “Cindy” Ann Styer and her husband, Alan, of Ephrata, Sharon Yvonne Dull and her husband, Jay, Sr., of Ephrata, Brian Scott Wanner and his wife, Kristie, of Mechanicsburg; his five grandchildren: Lori, Derek, Jay Jr., Cole, Grayce; his two great-grandchildren: Ashlee, Logan; his two siblings: Ronald Wanner, Charlene Regar and her husband, Rick; several nieces and nephews; and his beloved canine companion, Palmer the Plott Hound. Bob retired from Alcoa Mill Products in Lancaster, after more than 40 years of service working as a fabricator and in the maintenance department. He was a member of the Ephrata Church of the Brethren, where he served as an usher. Bob was an avid outdoorsman; he truly loved the outdoors, whether it was on the beach or in the mountains. He especially enjoyed visiting Williamsburg, VA with his family. Bob liked watching old western television shows and had a passion for classic muscle cars. He could tell you all the details, no matter the make or model. Bob loved to attend the Carlisle car shows. His family meant everything to him and they will fondly remember his unwavering dedication to them as a husband, father, grandfather, and great-grandfather. All are welcome to join Bob’s family at his viewing on Tuesday, April 9, 2019, from 12:00 p.m. until 1:00 p.m. and for his funeral service, which will begin at 1:15 p.m. at the Ephrata Church of the Brethren, 201 Crescent Avenue, Ephrata, PA 17522; with Pastor Rob Eshelman officiating. Burial will follow in Middle Creek Brethren Cemetery in Lititz. Honored to be pallbearers are: Jay Dull, Jr., Shawn Herr, Alvin Oberholtzer, Steve Oberholtzer, Derek Styer, and Cole Wanner. Bob’s family invites everyone to join them for a time of food and fellowship at his church following the burial. The family sends their most heartfelt thanks to the Lower Allen Township Emergency Response Team and Police Department. Contributions in celebration of Bob’s life can be made to the American Heart Association, P.O. Box 15120 Chicago, IL 60693, www.Heart.org/Donate. Bob’s family has entrusted his care to Myers – Buhrig Funeral Home and Crematory in Mechanicsburg, (717) 766-3421. Read Bob’s full obituary, view his memorial video and portrait, and sign his official guest book at Buhrig.com.